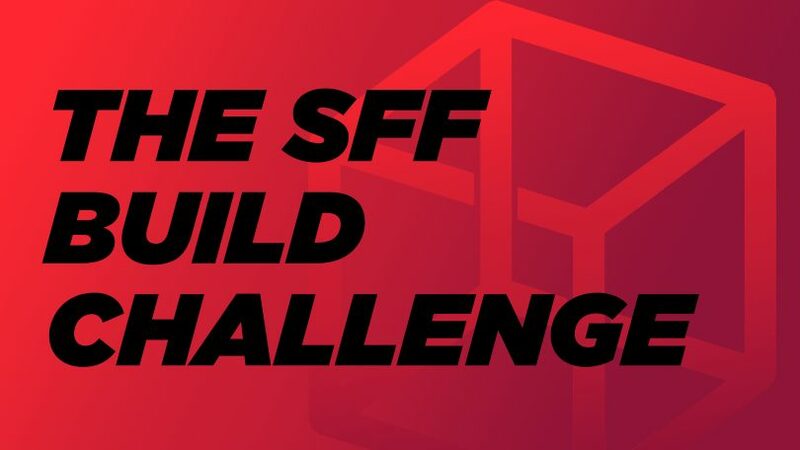 During the most recent episode of Low Volume, the crew and I kicked off a brand new segment of the show that will perhaps be the first series of content to be spread out across our podcast, SFF Network, and SFF Forum alike: The SFF Build Challenge! Starting two weeks before the last Low Volume episode of the month, the community picks a “build” that James, Jay, John and I will each individually create. For our premiere build challenge, we went with the difficult-but-interesting task of assembling a SFF gaming rig – including the OS – for just $450 or less. But for subsequent challenges it will be up to the community to decide what we’ll have to come up with. Indeed, future builds could be as mundane as a $500-or-less all-purpose computer, or a $1200 ultra-silent configuration, or a VR-ready monster under 10L. The confines and priorities of the build are entirely driven by our readers! Between the build selection day and the air date of Low Volume, the crew and I will have two weeks to price out components for the build that we think best executes on the theme assigned by the community. In general, we have to stick to Amazon and Newegg US, include an OS, not include peripherals, and not include tax or shipping, just to keep things simple. But these rules can change depending on the build, and all contests will stipulate what the exact rules are for that particular challenge. On the date of the podcast, we’ll share our builds with each other for the first time. Each of us individually gets a turn to explain our build and our rationale behind our part selection… and then we get one more turn to tear each other’s builds apart, with the hopes of convincing listeners that our build is the best of all of them, and that everyone else has no idea what the heck they’re doing. Finally, when the podcast goes live, we’ll post a news article (such as this one) on SFF Network, and a forum thread on SFF Forum, that has all of the details on our builds, as well as quick write-ups from each of us to accompany those. The community will get two weeks to deliberate in the SFF Forum thread on our choices (as well as ask questions), and a poll will determine which host is crowned the winner! We’ll also make forum threads ahead of time to determine builds for subsequent contests, so be sure to look out for those in the months ahead! 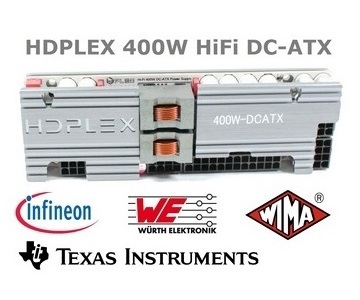 And with that explanation out of the way, let’s begin… The SFF Build Challenge! Why hello, my fearless readers! My fighters of freedom from bloated builds! And welcome to this month’s challenge! As this is our first build challenge, we have elected to select the build for this month of April, and indeed, the four J’s have had to create a gaming rig for the bargain-basement price of $450 or less! With the OS included, of course! But enough of the rules! Let us see the glorious contenders we have this month! We shall start, as always, in alphabetical order, and begin with James’s build to start us off. This build is intended to serve as a solid platform for future upgrades. The use of a Haswell CPU may seem contradictory to that idea, but i5 and i7 Haswell chips should be readily available on the used market for several years, which will allow for an easy drop-in CPU upgrade (and, admittedly, bumping up to the Skylake equivalent pushed the build over the $450 budget). The SSD keeps with the upgradability theme, it’s much easier to just add a hard drive for extra space than it is to switch to a SSD later. Similarly, having a Windows installation off the bat for the best game compatibility is simply a must-have. Including a legit copy and keeping within budget did mean that a few unneeded luxuries like a case weren’t included, however. For my build, and unlike everyone else, I went with a truly compact gaming machine. The combo of an i3-4370, a GTX 750Ti, 8GB of RAM, and a SSD is about as good as it ever gets for the low, low price of $450. It even includes a WiFi dongle for casual browsing – a practical feature that makes it a lot easier to use my computer anywhere. Overall, this build would be quiet, small, and capable of 1080p gaming. And it even offers the ability to upgrade to a more powerful Haswell CPU in the future, meaning it’s as effective today as it is forward-looking to tomorrow. My build chose parts that consistently gave me the best bang for the buck. I went with an Athlon X4 860 because it’s a true quad-core processor that provides the best performance for the price. I picked a basic motherboard that provided the right features and expandability. I bought 8GB of RAM and a SSD that provides speedy boot and load times. And the factory-overclocked GTX 750Ti is an exceptional value, providing solid performance up to 1080p. All of which is packaged in the Inwin BK623, a remarkably small mATX enclosure that still provides the expandability that gamers value. For the money, and especially for a Windows machine, my rig is cost-optimized and provides the opportunity for future upgrades and expansion. My machine is meant to take the ‘gaming rig’ aspect of the challenge to the extreme, and that’s borne out with the two decisions that cut costs or provide utility that’s specifically useful for gaming: namely, the use of SteamOS, and the use of a mechanical hard drive. Although the former limits the catalog of games that can be played, there’s thousands of titles (and growing) available on SteamOS, and “upgrading” to Windows is an easy future purchase that the user can then just transplant their whole library to. Furthermore, although a HDD doesn’t give you speedy boot times or app loads, it does provide the storage needed to actually install a bunch games in the first place. Best of all, though, the savings from these choices means that I’m able to install a powerful GPU with enough VRAM to max out titles at 1080p, and play at medium-high settings for 1440p+. I can even have a quad-core processor (quickly becoming mandatory for new titles), 8GB of RAM that’s upgradable to 16GB, and reliable part selection that doesn’t include unknown brands or a terrible-quality power supply. Jay’s build is similarly an Intel build which I applaud. Like Joshua’s build, though, it relies on Linux which is totally unsuitable for a real gaming computer. Maybe one day Linux will be viable, but too many top titles are missing for it to work today. Of course, the real issue with Jay’s build is the ticking time bomb that is the bundled PSU. If actually pushed anywhere close to 350W it is liable to burn your computer to the ground. John did the right thing by using Windows for the OS, but made the same mistake as Joshua of going with AMD for the CPU. While I wish AMD the best for Zen, FM2 is a dead-end socket and will forever be limited to 4-thread processors. Even if the budget was higher, FX chips aren’t an option since there aren’t any ITX boards for them, so clearly Intel is the correct choice for performance both today and tomorrow. James’ build features solid components that are very similar to mine, but his build includes fatal flaws. To start, there is literally no case, and there’s only one stick of 4GB DDR3 133Mhz RAM. These strange choices left me scratching my head, and they’re simply build killers. John assembled a decent system, but he chose an AMD Athlon X4, and a single stick of RAM. The cost cutting decision to use older Team Red parts is one that would haunt the user for years to come! It’s no way to build a forward-looking machine. Josh was very excited about his build, and from a graphical horsepower perspective, he has the most powerful rig. But he also has the largest rig – in a SFF contest, mind you – as well as one stick of RAM, a platter drive, and an Athlon X4. This is SmallFormFactor.net. Not LargeUglyBoxFactor.net. James build is caseless. That’s not a build, that’s a pile of components. Enough said. Jay at least has a case, but he’s spent more money on his processor than I have, yet gets worse performance in return. His PSU is also questionable – I’ve actually used the case and PSU that’s in my build, and it runs like a champ. And, let’s face it, microATX is a better choice for gamers who want to expand their system down the line. Mines is small and provides that flexibility. Oh, and it runs Windows – you know, that operating system where all the games are. Josh’s build isn’t any better, for a whole bunch of reasons. He went with microATX too, but his case is larger than mine. His SSD-less build means boot and load times that are laughable in 2016. And again – Linux, really? You can’t play Minesweeper on that thing, let alone most real games. James is crazy if he thinks that a build without a case can even be considered a build. And his computer has only a dual-core CPU, as well as a mere 4GB of RAM, which is hardly enough for three Chrome tabs, let alone a modern game. Jay’s build also has only a dual-core CPU, and the 8GB of RAM is nice until you realize that you can’t upgrade it without replacing the whole kit – hardly forward-thinking. And that bundled power supply is such a joke that it’s as if he’s included a free game with his build: every time you turn it on, there’s a 1-in-10 chance that you fry your components! How exciting! John’s build also elects to play the PSU lottery, and his motherboard and memory picks are uninspiring and budget-conscious to the point of leaving me wondering how long they’ll actually last. Oh, and his case is ugly as sin, too – I’d take James’ case-that-isn’t over that 1995-style Inwin anyday. Most of all, though, all three of them have went with a tiny 120GB SSD that has no room for games, and all three have gone with whimpy GPU’s that have only 2GB of VRAM. If you want a true gaming rig, you want performance to match and room to install your games. Only my build has that. And so there you have it, yearning masses – our four competitors for this month’s contest! And what a diverse selection it is… Two builds with Windows, and two without. Two builds with AMD graphics, and two with nVidia. Even the storage and memory vary a lot, in the quest for the best rig and the least-worst compromises. However, only one of these machines can win! Only one, in the eyes of you, the community, can be chosen as the best $build for this challenge! And to select your choice of victor, all you have to do is navigate to the SFF Forum thread and vote in the poll at the top! Until next month, my dear readers! May your space efficiency be high, and your decibels low! Thoughts? Want to vote for your favorite? Do so on the forum here.